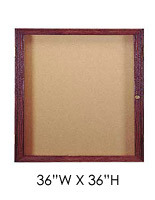 Hinged, magnetic glass door protects memorabilia within cabinet! 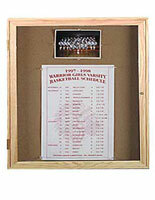 Baseball display is constructed of solid wood with a black finish! Twelve cube spaces provide enough room to comfortably fit MLB balls! 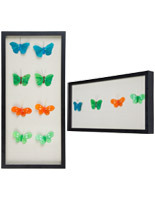 Holder can be easily positioned as a shadow box on a wall or tabletop! A baseball display, like this black memorabilia rack, is an affordable purchase for any avid sports fan! Unlike traditional acrylic boxes that typically hold a single football or an autographed item, this cube organizes MLB collectibles together in a neat cabinet! This sports cabinet, baseball display that fits standard MLB game balls inside each cube will help to de-clutter a space that may be consumed by many small acrylic or glass boxes. Although displaying many expensive pieces of memorabilia can be an attractive way to illustrate a passion for sports, over time a room can start to look cluttered. This glass cabinet, baseball display holds twelve balls and will reduce the amount of glass or plastic boxes, which amounts to less time spent dusting! Unlike a customary acrylic case holder, this rack will show less dust and is faster and easier to wipe clean! Many consumers use this type of baseball display that can be mounted to a wall to store other types of small collectibles as well! Signed hockey pucks, knickknacks, shot glass collection or any valuable artifact can be displayed within this glass case in a clear and orderly manner! 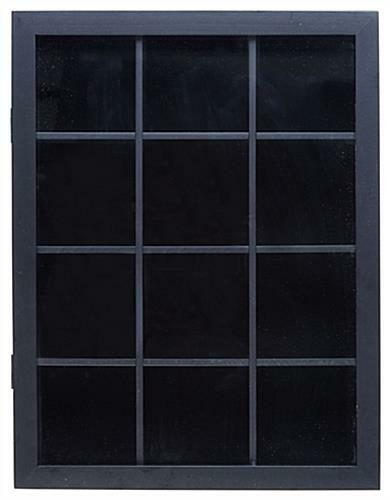 This unique sports cabinet, baseball display that has a hinged glass door also has a removable grid which transforms this case instantly! 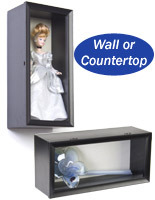 Larger items are then able to fit within the 9-1/2"w x 12-5/8"h x 3"d space when the inner frame is removed! 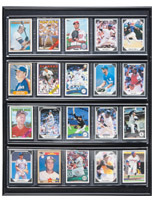 Those who have purchased this rack appreciate the fact that this baseball display helps to organize a variety of sports memorabilia well! Although this case can be secured to a wall, many consumers today showcase MLB balls in this black cabinet on a desk or shelf in a business or home! 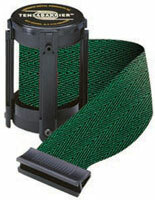 Each baseball display can be showcased vertically or horizontally. Please note that when used with the grid for balls portrait orientation is the only option. Consequently, this baseball display provides many unique features and can be used not only for football products, MLB souvenirs and other kinds of sports memorabilia but for larger, unique merchandise as well. 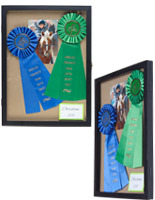 These black trophy cases make a great gift for any collector, or for creating a nice shadow box presentation without the grid. This cabinet is also nice in museums to exhibit various small artifacts.